The Adult Sabbath School Bible Study Guide for the Third Quarter and the Fourth Quarter of the year 2014 is here. The third quarter focuses on the “Teachings of Jesus.” This is for the month of July, August and September of 2014. The title of the first week was “Our Loving Heavenly Father” focuses on the relationship of the God the Father to God the son and God the Holy Spirit. The second week of the quarter is about “The Son.” This sabbath school lesson is written by Carlos Steger. These are the weekly topics of our Sabbath School Lesson for this quarter. This Sabbath School Lessons are now available at your District Pastor or Church Treasurer it is available in Englis Teacher’s Edition, Cebuano Teacher’s Edition and Cebuano Regular Edition. We are glad that fustero.net continues to provide a PowerPoint presentation of our Sabbath School Lesson. It is available in Cebuano, English and few other languages or you can click the image of our lesson at the right side of this page. 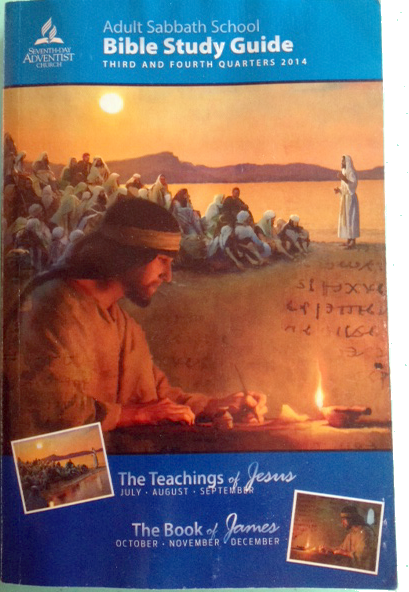 If you own a copy of the Teacher’s Edition Sabbath School Lesson in English you may want to check the binding of your copy.